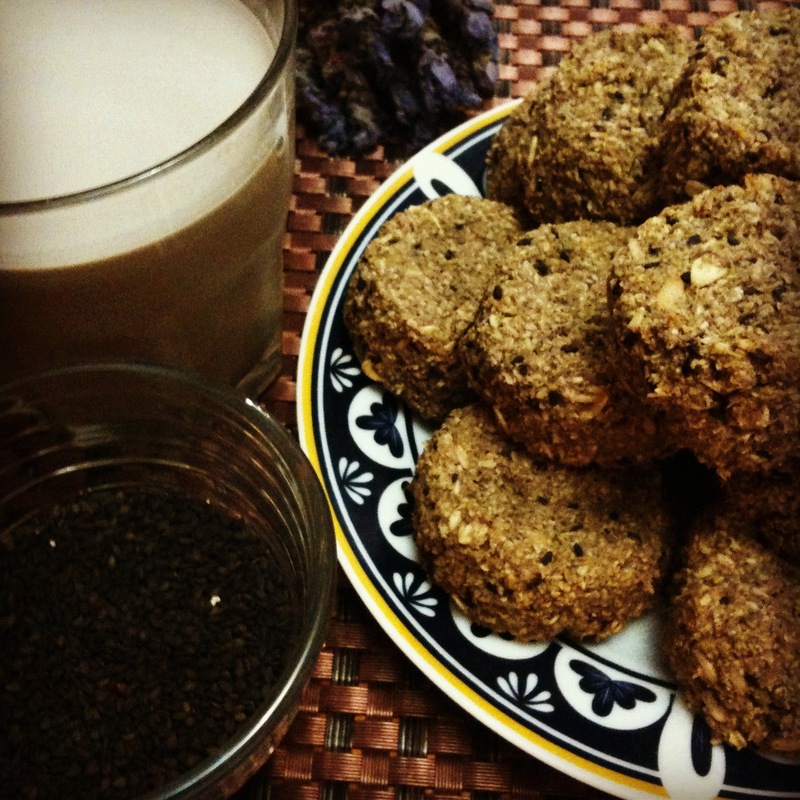 Black Sesame Cookies AND Milk… serious nom nom going on here!!! On our last night in La Paz of course I needed to do some baking! Getting some road food ready, lightening our load ’cause you need to know, we carry kilos of superfoods with chia, flax, cacao, etc in the list, and well, we love cookies! no more reasons needed for baking!! Craving for something like an energy bar, packed with protein and good fats to keep us going those extra miles the next day and without soymilk in the fridge (which was a whole crisis situation of its own “There’s no soy milk! We are making cookies and there is NO soymilk?!? !”) this was the result and Oh Dear, it was tasty! Begin by preparing the milk since you will need the byproduct for the cookies. Now, there are different ways to make nut milk, raw or slightly cooked. In my experience, raw is better nutrition wise, no question about it; but some people like the creamy consistency of cooked milk, so you decide, I’ll give you both… also, when it comes to vegan milks it’s hard to choose! we use soy all the time in a big part because of convenience, you know, being on the road and all, but our favorite is almond. This time I mixed almonds, walnuts and black sesame seeds, talk about protein packed milk! and sooo nutritious! Black sesame is one of the regular superfoods in our diet, high in vitamins and minerals, has been used for thousands of years in Chinese medicine for kidney and liver health and for strengthening the immune system, increase energy and longevity. If you’re going for raw milk, you need to soak the nuts and seeds at least overnight. Soak the almonds on a separate container, once soaked, you can easily peel them off which is a good idea since the skin carries some natural chemicals and enzymes from the plant that diminish the absorbance of nutrients in the body and it gives a slight bitter flavor. So once drained and peeled, mix them with the soaked walnuts and soaked black sesame seeds, blend them for about three minutes or more in high speed with 1 1/2 liters of water. You can adapt the quantity of water to match the consistency you want, I like it rich so you might want to use a bit more water, also you can use this same recipe for example for making vegan half and half for your coffee, just use half the amount of water and trust me, it will be rich! Begin by soaking the chia seeds in half a cup water until they are gooey and slippery. Now add and mix all the other ingredients to make a soft cookie dough. Don’t worry if it feels softer than other cookie doughs, but you do want it thick enough that you can shape the cookies with your hands, if you need to, add more oat flour or a little bit more water to the mixture. Place the cookies in an oiled cookie sheet and bake for about 25 minutes or until hard to the touch and lightly golden. Once done let them cook before eating them so they can set. Chill your milk on the refrigerator and enjoy! !… besides making some really tasty cookies, trust me, you know I love cookies and every time we bake I get so happy but this ones were one of my best! These are small energy bars, high in B vitamins, essential minerals, protein and healthy fats, great for road/gym/wilderness food to keep you strong and active! We’re having another cookie day, shocker!! we also made beans… and had a banana-cacao protein shake in the morning. BUT before you think we are creatures of habit, let me tell you we rarely cook the same dish, if ever. Some changes in the ingredients and you can get new cookies, new beans… always. Today was a bit of a challenge anyways, as we seem to be running out of new ingredients and as delicious as they are, I didn’t want to bake yet another batch of the Oats and Cranberries Vegan Cookies. After twenty minutes or so of double and triple checking all the drawers and cabinets in the kitchen I came out with prunes and teff flour. 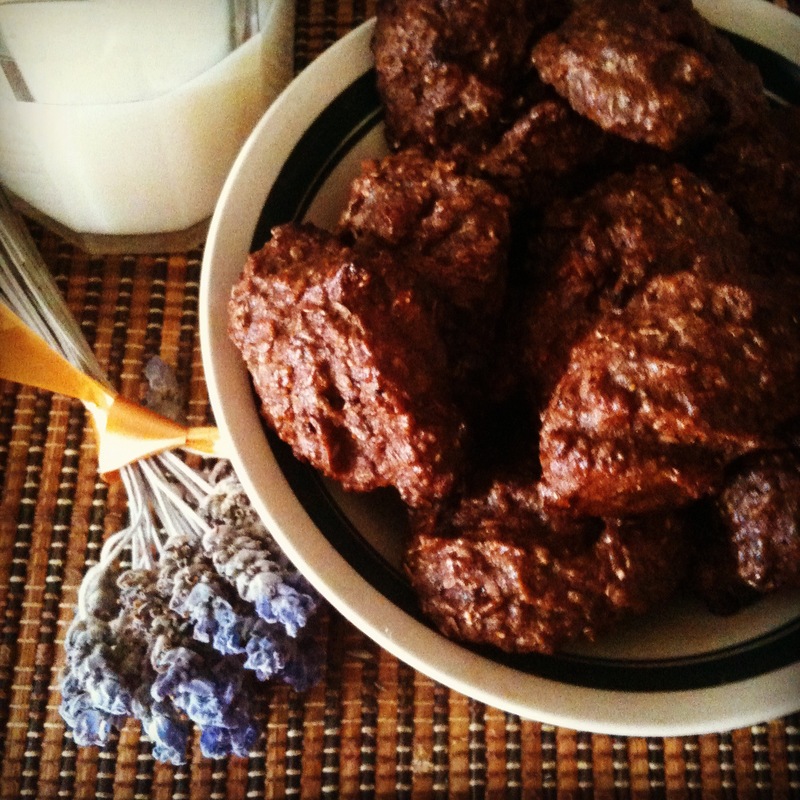 The result: some little dark colored cookies that make a great option for a quick breakfast. 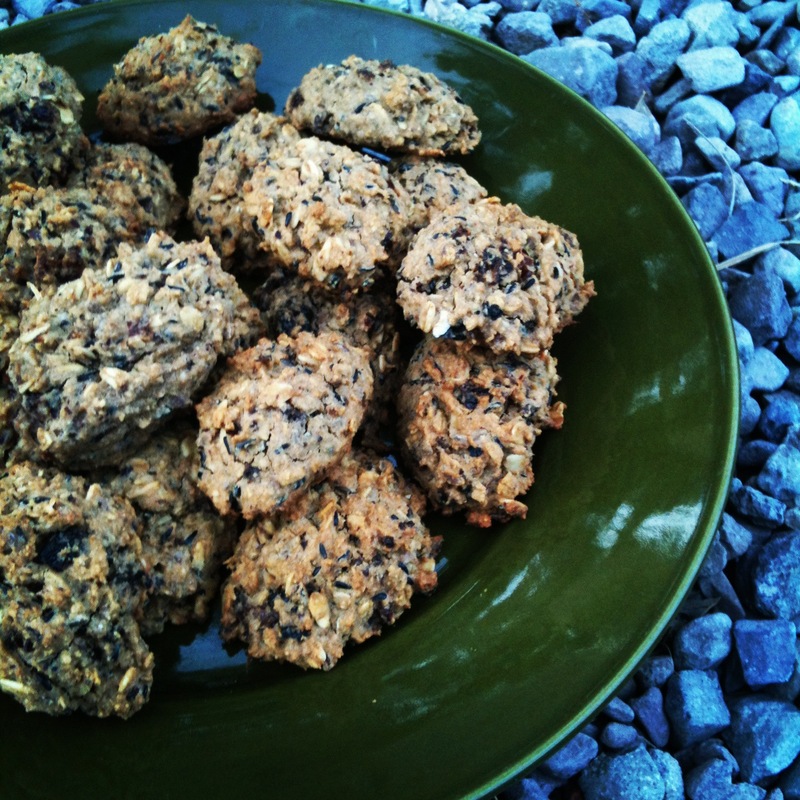 Not too sweet, they are more of a healthy, high fiber, high protein, nutrient dense cookie; but a cookie never the less! 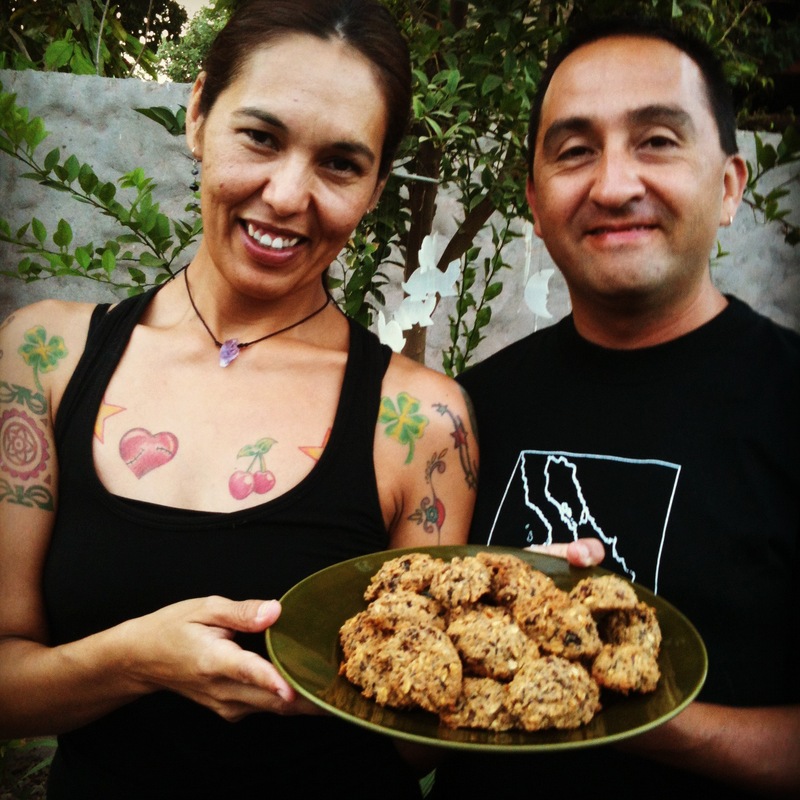 As we let the days pass in Loreto recovering from a severe case of heat exhaustion, we take this time for working on our website, enjoying having a kitchen to cook in, have a rad time with Héctor and Rossa our new friends… and bake some cookies!! Loreto is beautiful, a magical town in Baja California South with a colorful Mexican personality and chill atmosphere. However truth is, we have been spending most of the time at home resting and hydrating… never underestimate the desert heat! specially undergoing a HUGE physical effort like biking and monkeying all around!! Last night I made some quick oatmeal cookies that were delicious, but half burnt. Never satisfied with burnt cookies, today I go for the rebound! and exploring in Rossa’s kitchen I found some niger seeds. Niger seeds are little black seeds used mainly as bird food, but turns out, they have a high nutrition value. Packed with proteins, calcium, iron, phosphorus and antioxidants, this little seeds seems like the perfect ingredient to experiment with and after some research sounds like a good addition… at least they are apparently O.K. for human consumption. However, most of the imported niger seeds are pasteurized to prevent them from sprouting in case they carry some other seeds of plants that may become invasive in the west, but this pasteurization process destroys many of their nutrients, so try to get them local raw. You can also use them as seasoning in your dishes, like sprinkling a few of them on top of your rice or soups… anyways, here’s the recipe! 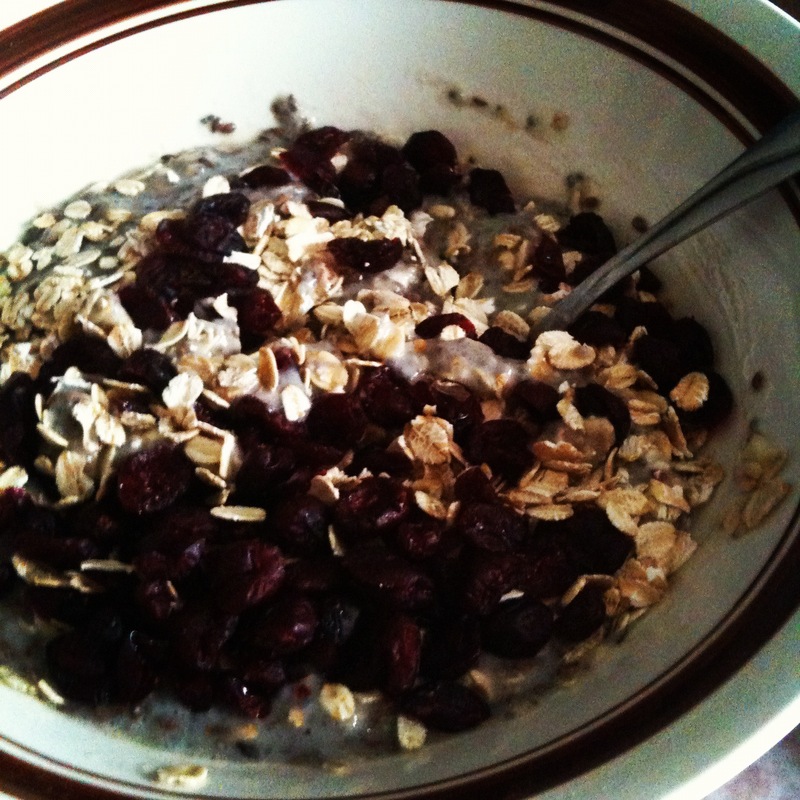 Start mixing the rice and oat flour, oat flakes, flax and niger seeds, baking powder, sucanat and cinnamon in a bowl. Separately, blend together the coconut oil (melted), vanilla extract, raisins and soymilk until the raisins are well chopped and lightly moist. 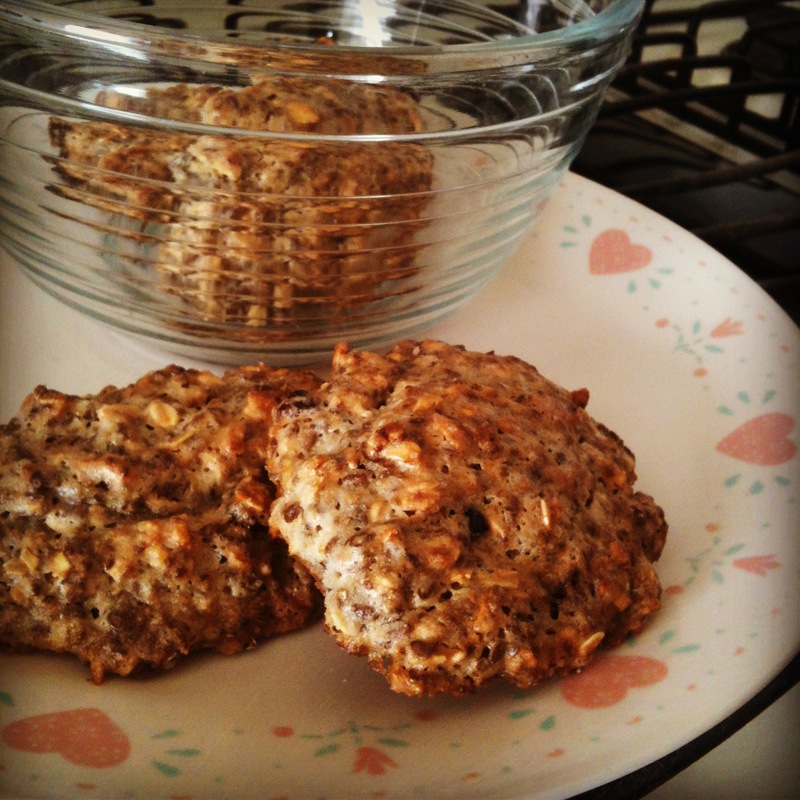 Mix everything together, you should get a soft cookie-dough-like consistency, somewhat similar to a very heavy oatmeal. If you need to, add a bit more soymilk or a bit more oat flour until you like the consistency. If you had to make several ‘adjustments’ try a bit of a dough in case you want to add more cinnamon or sucanat for the flavor. In an oiled cookie sheet, arrange the dough. This time I used a spoon and just placed big spoonfuls of cookie dough, it’s easy to shape them this way and keep their size fairly even. Into the oven for about 20 minutes at 450 F. However, keep and eye on them and take them out whenever they are golden and crisp. Enjoy!